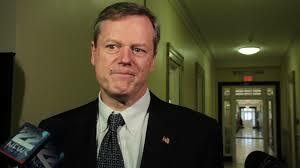 Charlie Baker promised, in his campaign, to be the State’s Mr, Fix-It, and for state budget matters he has delivered big. Handed a surprise, $ 768 million dollar shortfall in last year’s budget, he devised remedies and won swift approval of them from an almost unanimous legislature. now comes the 2016 budget, Baker’s first, and it looks as smart as bold. Bold it has to be, because the state’s leading budget watchdog, the Msssachusetts Taxpyers, forecasts that the previously planned 2016 budget would, via an eight percent spending increase, suffer a $ 1.8 billion shortfall. Baker’s version erases the shortfall, as it has to, even while epanding certain visionary initiatives. How has he done it ? 18. a large appropriation, of about $ 60,000,000, for technology upgrades to just about every division of state government. Several state programs were eliminated entirely. None of those eliminated had i heard of before. Still, they surely have their supporters. We will likely hear from them as the Governor’s budget message gets debated by the legislature. It’s still a very large budget, some $ 38.1 billion, and provides a large palette of services to just about every resident of the state. The appropriation isn’t assured; almost every change ite, in it talks of “projected need” or “projected revenue.” Projections can change and probably will. Will the legislature adopt it as is? Probably the legislature won’t. The interests whose appropriations are being cut, and even some being level-funded, have already expressed unhappiness : the court system; Medicaid applicants on the borderline of eligibility; the Film industry and the unions who benefit by it; various laboratories; the eduaction establishment — to name a few. Some of these exert significant clout among legislators. Yet the budget already meets one of Speaker Robert DeLeo’s own criteria : it seeks no new fees or revenues. Meanwhile, the legislature will also be assailed in a positive direction by those interests who the budget graces : the MBTA, Homelessnes advocates, municipalities (local aid), advocates for families needing its greatly expanded EITC; child care advocates; and bankers who care about the State’s credit rating. Some have complained that the 2016 budget lacks vision, that all it does to keep the State from falling behind, that the state needs to be far more pro-active in finacing educational reform, bridge and road repair, and transit expansion. I do not disagree iwth any of these ambitions. Yet 2016 is not the last year on earth. Soon there will come the 2017 budget. In that budget the state, now restored to fiscal reality, can ask voters to trust it again to spend new money wisely, to embrace the huge expenses of renewing education,l transport, anmd social services. Right now, that voter trust isn’t there. If the Baker budget works, it might return. Restoring it is the inescapable overture to the symphony of reforms advocates rightly trumpet. Let the overture begin.